But enough about the house….my real excitement lies in all of the wonderful food I will eat, learn to make, and recreate back home to share with you! Who knew that two of my favorite Italian foods, burrata and orecchiette, are from the Puglia region???? 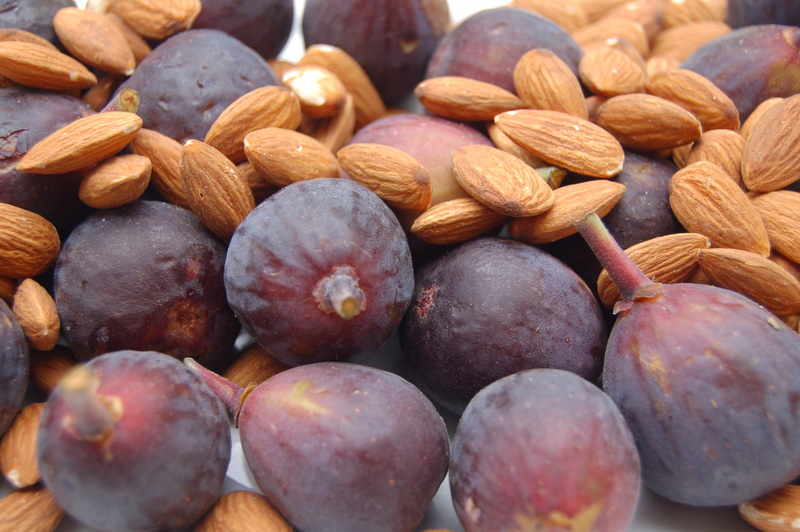 The Mediterranean climate is perfect for growing almonds and figs….two more favorites, which I turned into a dessert today. This thin cake is lovely on its own with a cup of tea, but adding a scoop of vanilla gelato pushes it over the top. I hope it inspires you to take your own journey to Puglia, even if your journey never leaves the kitchen. This cake keeps 2-3 days, wrapped in plastic or placed in an airtight container. Butter and flour a 9-inch tart or springform pan. I happen to have a rectangle shaped tart pan, but a round pan will do. Preheat oven to 375 degrees Fahrenheit. 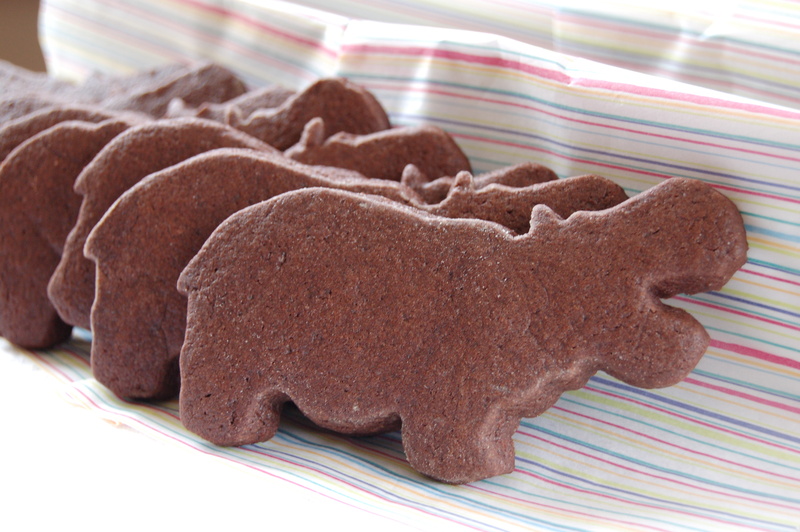 In a small bowl, combine almond meal, flour, salt and baking powder, set aside. In a large mixing bowl, add eggs, oil, sugar, honey, orange zest, and almond extract. Mix on medium speed until well blended. Add almond meal mixture and stir until combined. 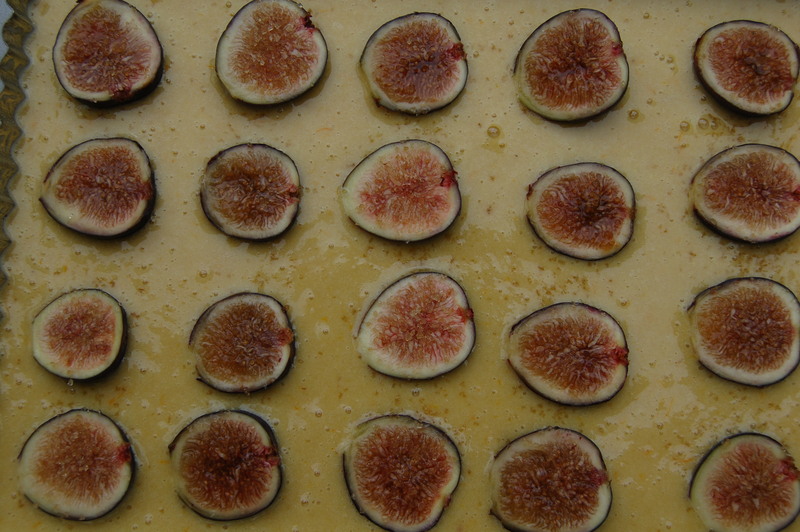 Pour into prepared pan, and top with figs, cut side up. 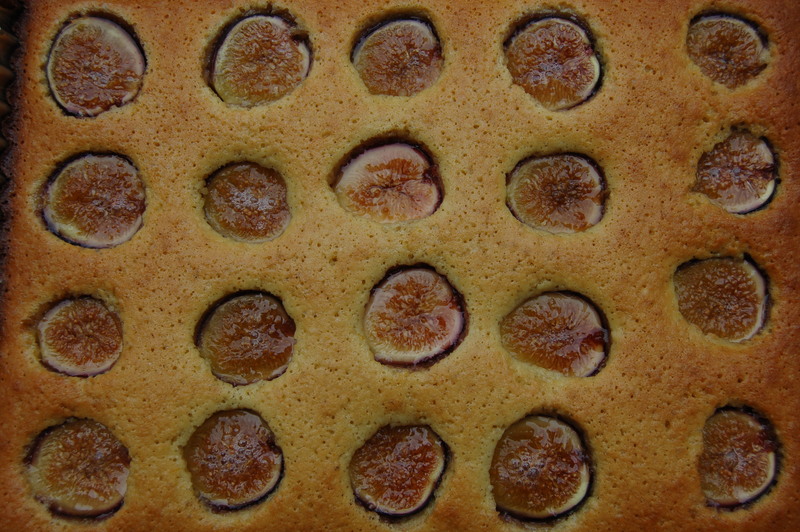 Sprinkle figs with demerara sugar. Bake about 30 minutes, until cake is set. Cool. Cut yourself a slice and enjoy. 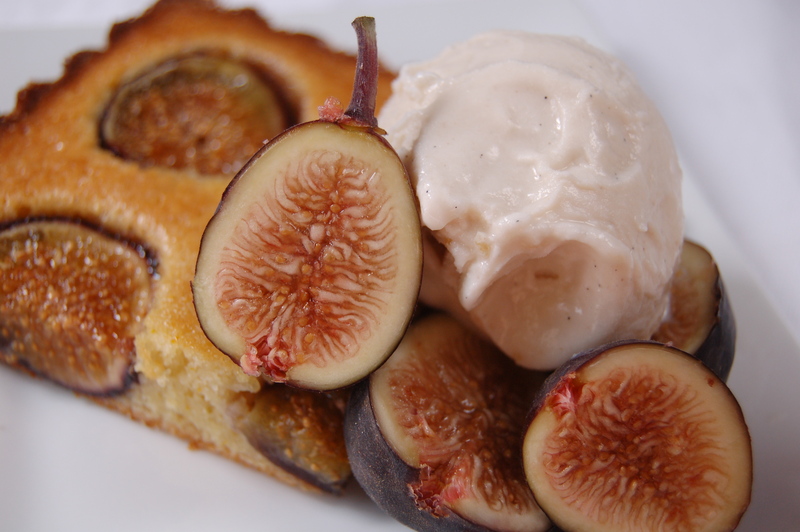 For a special dessert, top with vanilla gelato and more sliced figs. La dolce vita! This place looks amazing! As does the cake!! Christopher dreams of some day having a house on the water in Puglia. Miss you! Looks wonderful! Have a great celebration!